Predestination (2014) – Do not watch the first 7 minutes! Predestination is a 2014 Australian science fiction movie. Directed by the Spierig brothers, it’s a thought-provoking drama about time traveling. HOWEVER, it is not your conventional time traveling story. This is a movie where “the less you know about it, the better”. If you’re considering watching, stop reading reviews, synopsis, cast trivia or watching trailers, just go and watch the real thing. Now. Stop procrastinating, just watch it! The strength of this movie lies on its mysteries and the convoluted storyline, addicting the viewer with its obscure aspects. It’s one of those (I dislike this expression but it’s the most accurate) “mind-blow” movies. The fun of it lies on connecting the dots and finding the clues that slowly creates the puzzle that is the storyline. And this will only be accomplished, you will only share the full possible enjoyment of the story IF you haven’t been spoiled on it before. That’s why I strongly suggest you skip the first 7 minutes of it. Start watching around 7:40 (studio logos included) just when the title screen appears (the opening image of this post). 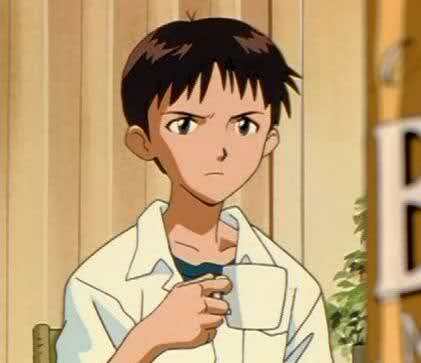 If you watch those pre-title scenes it will obliterate the best wonderful aspect of the story and most likely rip away the enjoyment of it. Watch the movie starting from the title screen, then later come back to those first frames. You’ll understand what I mean and hopefully be glad that you followed the advice. I’m still trying to understand what makes a director try to sabotage his own work. My best shot is that those scenes were added at the beginning to lure those action-addict folks. Predestination has an interesting tempo. It starts slow, gains speed and finishes in a quick blow. Maybe the brief “action” sequence is there at the beginning to hold those viewers but either way, it was a terrible choice. 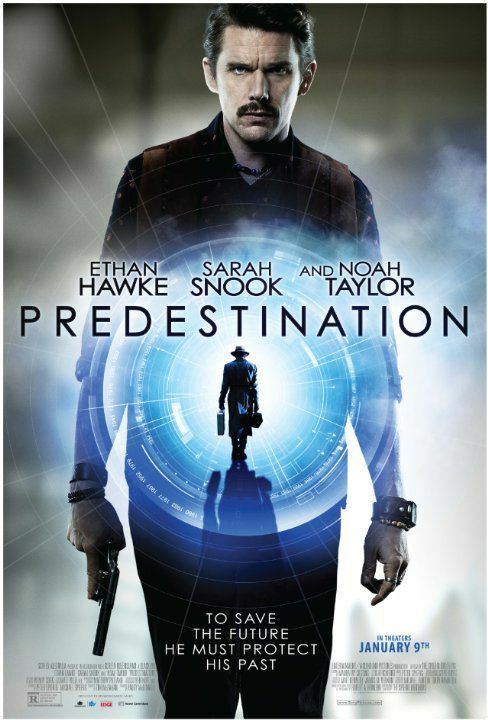 Predestination is a great sci-fi movie that deals with the same paradox of Steins;Gate. I had the wonderful experience of watching it without any prior knowledge on the story. I was bored, switching channels, and when I got to it, it was already 20min in but this only made things better. Skip the opening sequence for your own good and just return and watch it after the credits start rolling. It got some flaws, some unexplored possibilities so don’t go expecting a masterpiece but it’s still a gorgeous 8/10 movie. Well that was it. Back to anime! If I have to skip to 7:40 and then watch those first minutes to enjoy the film, it sounds like a failure of structure to me. I shouldn’t re-organize the story. The structure should make sense, even if it’s a non-linear one (Memento is a perfect example). It’s weird you describe it as ‘time traveling drama’ while saying the fun is in connecting the dots, which tends to be the attraction to (mostly bad)* thrillers. Still, you made me curious. * in my experience, the best thrillers rely on exciting set-pieces and character drama to be interesting. Calling it a failure wouldn’t be completely incorrect. It’s true. From a storyboard perspective, those first scenes are a damn ugly failure. Having to switch the order of the story in order to take the maximum out of it goes to prove that the direction didn’t know how to organize their own storyline. If this was something intentional, like Lucas’ Star Wars release order, then it’d be a different thing, but unfortunately it’s not. I tried searching for interviews or at least some movie critics with this same opinion or someone who explained WHY they made this choice of scenes but I didn’t have any luck. My best guess still is that they didn’t want to scare the action-folk away since the following 20-30 minutes is basically dialogue. Still, the movie proves itself worthwhile. And later when I told a couple of friends to do as this post says, and watch after the title screen, both agreed the “prologue” kills it. So it’s not me being paranoid or something. It manages to tell a detailed story with actual depth, introduced in those 20 minutes of dialogue but developed into the main stage as we get to know more of the characters, while still making use of classic time-traveling premises and the “connecting the dots” mind game. Ethan Hawke and Sarah Snook’s performances also boosts the drama “aspect”, something the generic bad thriller usually can’t afford.